Sorry, I just couldn’t choose between fellow bloggers. However, I can really let my imagination go quite easily. I’ve been seriously creative with time for my guest list. I have fully embraced VP’s suggestion that “It doesn't matter if you've never met any of them before - let your imagination and the power of the internet rule!” Oh yes… and I have! At a guess, the reason behind the choices will be as interesting as the guest list itself. Okay, that being the case I thought I’d give my original reaction. Five guests… my first thoughts were two from the gardening side, two from the birds/wildlife side and a wild card that would be a fun party guest. Yep… that definitely helped shape my list. Mm… but then I considered what makes a good Dinner Party. It’s not just the food at the table… it’s the conversation! Okay then… it’s my party so whose stories would I love to hear? Hands down, no hesitation whatsoever, I would love to hear tales from a plant hunter. Someone who has travelled regions in any part of the world looking to discover a new plant species… I’d love to hear their thoughts and experiences. Wow… to discover some new, or even better endangered, species would be just amazing especially now. I had difficulty deciding between the present and past. 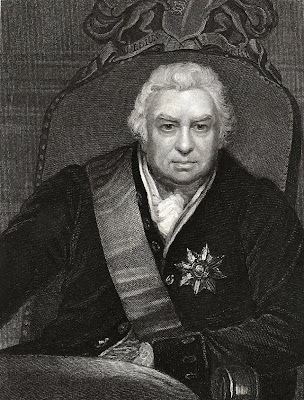 My first guest has come from the past and would be Sir Joseph Banks (1743 – 1820). Banks was a British explorer and naturalist. On a joint scientific expedition between the Royal Navy and the Royal Society he joined Captain James Cook on one of his first voyages to the South Pacific on HM Bark Endeavour. Now… he must have some fascinating stories to share! As director of The Royal Botanic Gardens at Kew he then sent many botanists abroad to find new plants to extend the collection of the garden. Yes… a very interesting dinner guest he would make! It’s my party… so I’m jumping completely into present day with my next guest. 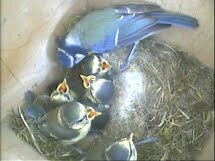 I really enjoy filming the birds and wildlife in my garden (and outside it) so I am inviting a wildlife cameraman. Gosh… and there are so many to choose from. In this case I am going for fellow Scot Gordon Buchanan . 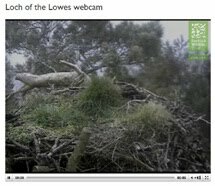 Gordon is probably most known here in the UK for his wildlife diaries for BBC Two's Spring/Autumnwatch. However, he has filmed in other parts of the world too including Africa and not always using conventional modes of transport either. Imagine riding on the back of an elephant, in a basket with a 15ft tripod using the edge of said elephant’s back, to film tigers! I am guessing Gordon will have some excellent dinner chat. Joseph worked with Artists to record images on his plant hunting expeditions so seeing the camera equipment (especially discovering you can film with sound and in complete darkness now) would be a discovery he could never have imagined. 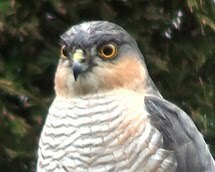 Oh yes… I’d also ask Gordon to take his camera with him just in case an unexpected visitor passed through my garden tonight! I have wondered about foxes and he’s the man to ask about that. Joseph must have come across amazing wildlife sights on his trips. Now, I wonder what Gordon would ask Joseph? So that’s one to the garden and one to wildlife. Okay… seeing as I’ve already visited the past I can easily go back a little further. I’m thinking of large Country Houses and Mansions with expanses of grounds that really do reach for our imagination. Yep… single track (bumpy) roads with a horse and trap. Let me introduce my next guest… Lancelot ‘Capability’ Brown (1716–1783). Ah... I see that Brown and Banks were living at the same time. I wonder if they ever met? I have great difficulty in understanding the vision Brown had at that time both with the scale and resources he worked with across England. I know as gardeners we like to make our own mark on an existing garden, and yes, we will often start by altering a border or two. However, Brown wiped out large established formal gardens rearranging completely the landscape around Country houses and Parks. It is estimated that he is responsible for as many as 170 gardens/parks. Smooth undulating grass would be seen running right up to the houses and scatterings of trees were dotted around them. Quite a risky move for the owners I’d have thought. Just how did Brown convince the owners to make these changes and spend considerable money in doing so? Well, the answer lies in his name. Brown would characteristically tell his clients that their estates had great "capability" for landscape improvement. Many clearly believed ‘Capability’ Brown and a fashion evolved but after his death his work lost its popularity for a while as it was seen as a feeble imitation of wild nature. Perhaps it was, but there are many ways to see this. This style did return again in the Twentieth Century. Now… back to the dinner chat! I do wonder about the conversation between my next guest and Brown. Ah… but they do have one thing in common – trees. Jumping to the future again I’d like to introduce my next guest. However, I don’t really know which period I really see him in. Yes… he is definitely living in the present but he is so in touch with the space he works with that I suspect he could be dropped into any period of time. I’d like to invite to my table… Dan Pearson. Dan is a landscape and garden designer and believes it is better to work with nature than to dominate it. So that would make him on opposite side to Brown you would think. Heated discussions at the dinner table perhaps? Well, Dan is so laid back but at the same time so passionate about what he does it could go either way. Mood, atmosphere and 'sense of place' are so important to Dan but could Brown really make the huge changes he made to landscapes without not feeling the same? Okay… I’ll let the dinner conversation sort that one out. It’s going to be very interesting. Oh yes... and I should add that Dan lectures all over the world. He also writes a blog. I wonder what Brown would make of blogs! Mm… I see I’m lacking female company at my dinner table. I’ll re-address this now. My first thoughts went to Beth Chatto and to Sarah Raven as I could listen to both of them chat all night long. However, I have a very simple reason for choosing my last guest. I would like to know more about… Alys Fowler . Alys appeared on our television screens as head gardener with BBC Two’s Gardeners' World programme. 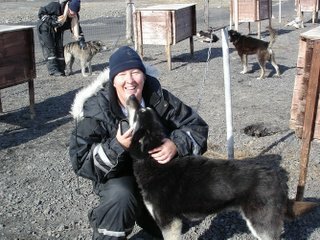 She worked previously worked as a researcher to the show. I will be honest and say I really wasn’t sure about her at the start. However, she has now ‘grown’ on me! “Whilst living in New York she also began volunteering in a community garden on the Lower East side in Manhattan. With only a fire escape to grow plants on, she quickly found a community that were making beautiful gardens literally from the street. This was an influential period in her training and much of the ethic, thrift and spirit that thrives in such settings is found in her work today.” Alys now runs her own garden design business. Yes, I would like to hear some chat from Alys Fowler. I am also guessing she would enjoy the chat with my other guests too. All my dinner guests come from completely different places both in time and in their lives but hey that will make for some excellent conversation at the dinner table! Interestingly enough I asked my 15yr old daughter who she thought I’d have to dinner. She said “that Piet guy, Monty Don and her!” She is claiming some ownership of my blogging beginning after we observed birds for her school project. 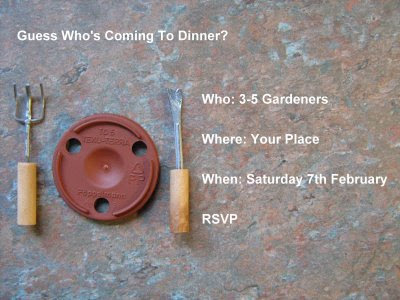 Very good my dear… yes if I ever have Piet Oudolf and Monty Don to dinner you will definitely get an invite. In fact, I might ask you to make the desert! I do apologise, I’ve perhaps been giving a little too much chat here. It wasn’t too tricky picking my guests. However, as you can probably see, I did find it tricky trying to write brief bit on each guest. Gosh… I shouldn’t be sitting here at the PC now. I’ve a dinner to organise. Now… is that the caterers at the door or an early guest? The images of Banks and Brown were taken from Wikipedia commons. The images of my other guests were taken from the links given. Oh my, I would like to be there too. I would even be the server just so I could hear the conversation. Great choices Shirl. Good choices especially Gordon Buchanan He was such an easy going presenter on Spring/Autumn watch. He could film the occasion! I never thought about including a plant hunter - Banks' stories would be fascinating. He belonged to a special time for plant discoveries. Delightful company ... what an enjoyable evening adventure! I love this meme - Capability Brown nearly made it on to my list too. I could do with some advice about landscaping our plot. But on balance I decided that it probably isn't quite on the scale that he usually worked on, so left him off! Oooo - wish I'd made time to do a list now! Joseph Banks would have been on my list, definitely. Looks like this would be a good gathering! Shirl, I'm clapping my hands with delight at your choices! Capability Brown was one of my C's that got dropped at the last minute. 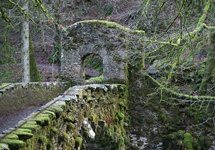 He had a hand in a few of the landscapes around here and I would like to know how he did it, especially after reading Dan Pearson's article in last month's Gardens Illustrated about the landscape project he's doing in Japan. So Dan's an excellent choice too! Alys Fowler seems such fun and is one of the few GW TV bloggers who answers comments on her blog. 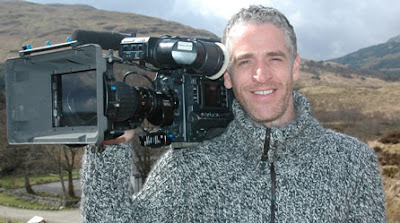 And Gordon Buchanan could film the whole thing AND put something together for your next garden video - brilliant! 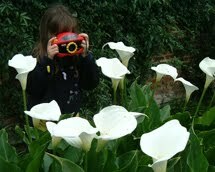 So now there are 3 of us who have invited a plant hunter, and the great thing is that we each invited a different one! I should have invited a plant hunter! I guess I'll just have to eavesdrop on your dinner party, which looks like a lot of fun with a great group. Great guest list Shirl - some interesting tensions could develop between the scientific and the landscape designers, between the historic and the contemporary - and just imagine the cuttings a plant hunter could bring as a gift! Cheers, Sam. I like your choice of guests and your reasons for choosing them, too. I think your dinner party should make for some interesting conversation! I would love to be a mouse in the corner, eavesdropping on the conversation. It would be great fun, I know. Yes, I would like to be a fly on the wall at all of these dinner parties! You have another interesting combination of guests, Shirl, and I appreciate the information on all of them. I'm not familiar with many of the famous experts, especially the British celebrities, so it was interesting to learn about each of your guests. Quite an electic mix! Nice list you've compiled there Shirl! If it were my party, I would absolutely have to invite FLO and FLW --- Frederick Law Olmstead and Frank Lloyd Wright! WoW! What a conversation we would have with those two present. Great post! Wow… that must have been fascinating to see. I do love botanical drawings anyway but his collection would be rather special! Interesting Brown nearly made to your table too. 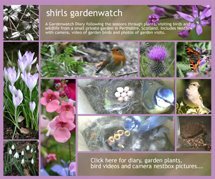 I watched a programme a few years ago that Dermont Gavin presented on the history of gardening. One programme focused on Brown and you saw photos of the projects with men digging lakes. Men did die doing this too. He travelled around these gardens by horse and trap. Watch out for the programme repeat. Ah… now I see I’ll have to pick up copies of GI! Dan in Japan now that will be a very interesting garden! Yes, I think Alys should get more opportunities to chat to us on GW. I am delighted to hear that she will answer comments. I was planning to read her blog now anyway but that always makes a difference. I see she has a nice style of writing. Gordon would be a good party guest. I think he would be great fun and yes I would pick his brain for tips! Ah… a garden production from him would be quite a coup! Mm… I don’t like to be on the other side of the camera – if he missed me out that would be okay! Hands off Gordon Buchannan!! I saw him first girl!! 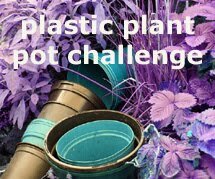 My others would have to be Saint Bob Flowerdew and Marvellous Monty Don! Quite an interesting guest list you put together! What a great idea, Shirl! That must be a very interesting dinner and I really would like to be an invisible fly there. If you could have chosen one person more, would it perhaps have been a women again...just for a good balance? I suggest you're going to have some more dinners in order to have the possibility to make some more choices of guests! What are you serving to these honorable men and the lady?? Matron – LOL… Aw…can’t we share him ;-) Bob would be interesting too and Monty lovely – no ladies then? I'd like to come as well to your dinner party so I can kick Incapability Brown into next week or thereabouts. Can you tell I don't like him? At all? A very belated comment Shirl - as I really thought I had left one when I read your post - but I guess in my excitement to visit all those dinner parties I didn't. You are right - it would have taken me less time to cook a diner than make a comic.